Just a glimpse into Meagan and Nathan's Great Smokey Mountains wedding. 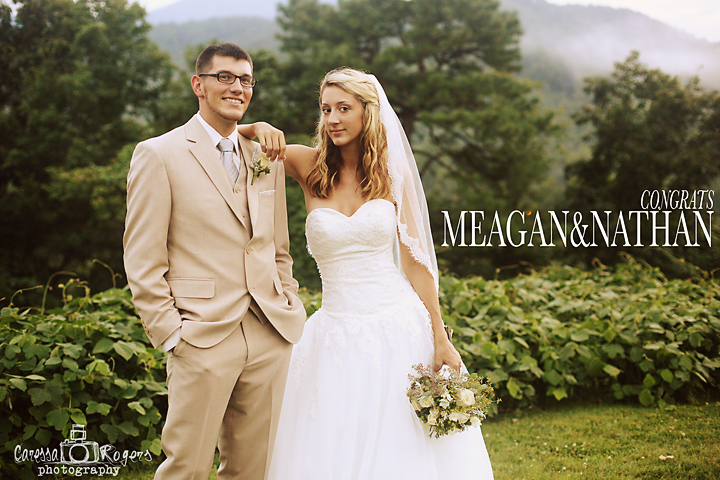 All morning it rained, then just before the wedding it stopped and left behind the gorgeous misty. 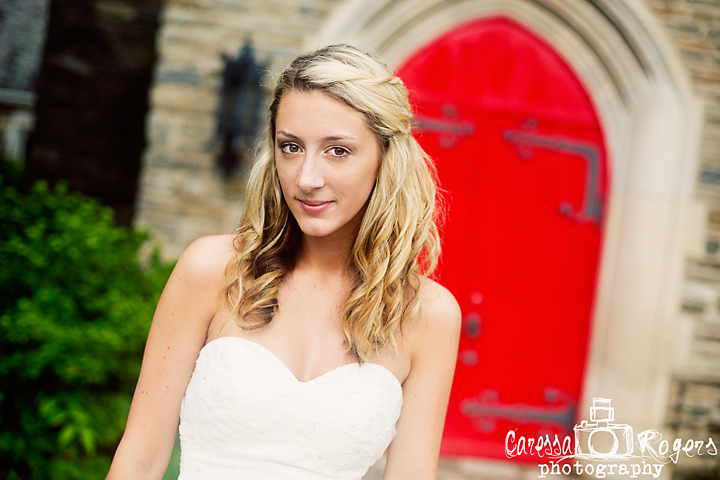 It was a breathtaking backdrop for the pictures. 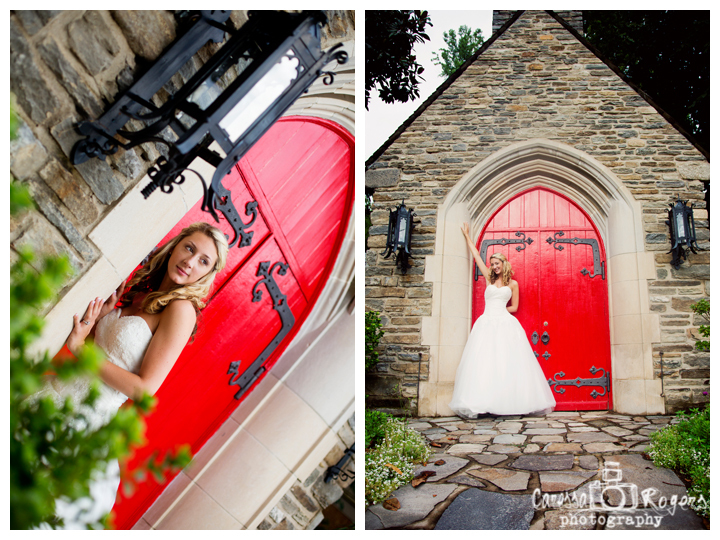 Just down the road from where they got married was a little chapel with this fun, bright, red door! I snuck Meagan away for a couple bridal shots. 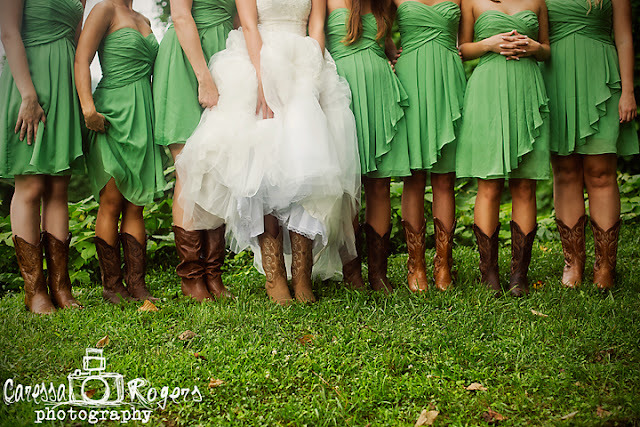 My favorite picture of the eleven weddings I photographed in 2012 is below... 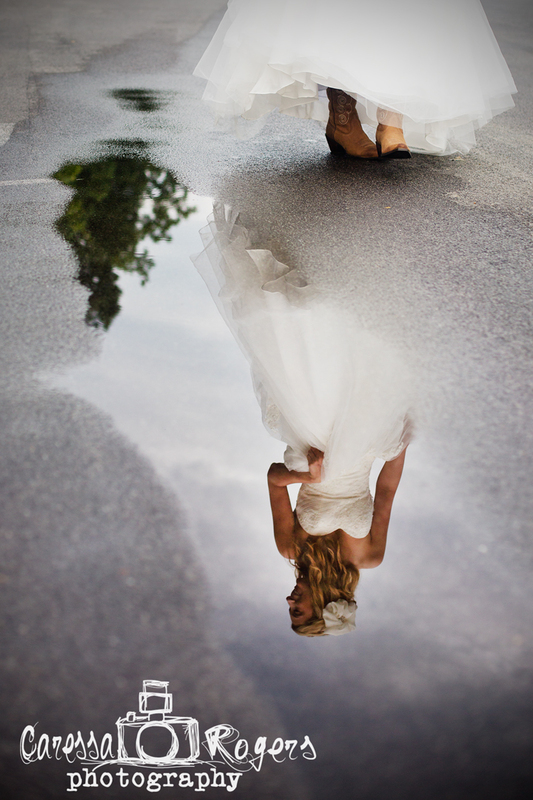 The one positive to having it rain on your wedding day is a shot like this.